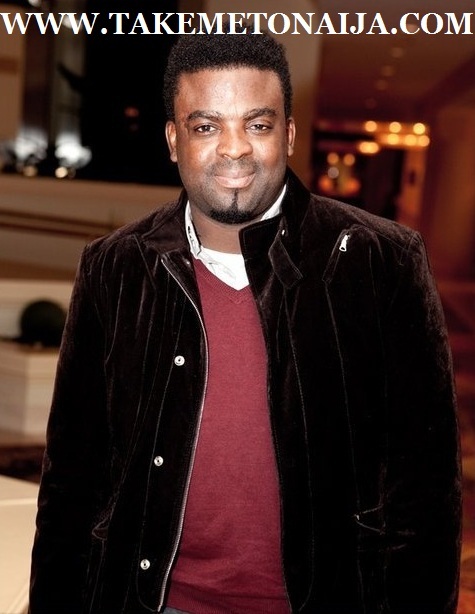 Kunle Afolayan is a popular Nigerian Filmmaker, actor and film director. He can be said to one Nigeria’s most hardworking and successful movie producers. Many of his his movies are among the top 20 highest grossing Nigerian movies ever. Before he became a filmmaker, He started off as an actor in 1998, and when the zeal , anxiety and dream of wanting to become a filmmaker came, he approached established filmmakers like Tade Ogidan and Tunde Kelani. Tunde Kelani gave him audience and when he said he wanted to be a filmmaker,Kelani asked him said what does he know about films? Told him filmmaking is not a fluke – you have to learn it, you need to go to school – Kelani adviced him he start as an actor, that if he started as an actor, he could start like his father. When it was time for them to shoot Saworoide movie, they invited him for an audition and he scaled through and that was how he started as an actor. But, the following year, he started working in the bank so that didn’t give him room to feature in so many films, so while in the bank between 1998 and 2004 he didn’t feature in up to ten films. So in 2004 he said to himself that he does not belong in the bank, Even though he was making money, he was comfortable, had a car, and was living in a 4 bedroom flat but it wasn’t really what he wanted to do and one day he resigned, stayed home for 8 months doing research on what he wanted to do. Afterwards he went to school, did a diploma in digital filmmaking, and came back, set up a production office, it was quite small, just two people. “Well, setting up, as an entrepreneur, like getting an office was not difficult for me because there was someone who was just moving out of an office and the person had six months’ rent still available and he said to me, “Kunle, you can take over this office and when the rent lapses you can pay”, and I just said to myself, I doubt if I would be able to pay, because it was in Opebi, but I let me at least enjoy the first six months and I took over the office, I got an office assistant and it was just two of us, then I got myself a computer to learn editing, you know, then this idea of Irapada film came. Before deciding to move into full-time filmmaking and taking a course at the New York Film Academy. Since 2005 he has been active in the Nigerian film industry. He has made several extremely popular titles including: The Figurine: Araromire which was in the Yoruba and English languages and Phone Swap which featured Nse Ikpe Etim and the legendary Chika Okpala. The Figurine won five major awards in the African Film Academy and experienced tremendous success in the Nigerian movie theaters. Kunle Afolayan appeared at the Subversive Film Festival in 2011 where he represented the second largest film industry in the world, the Nigerian film industry, with his colleague Zeb Ejiro. In May 2013, Phone Swap premiered in France at the first edition of NollywoodWeek Paris and won the Public Choice Award. Afolayan’s father Adeyemi Josiah Afolayan (Ade-Love) was a renowned Nigerian artist of the second half of the 20th century. He worked in traveling theater and turned to the film making industry. Afolayan’s father felt strongly about education and therefore Afolayan completed his studies in accounting. Out of all the movies you’ve produced and directed, which one is your favourite so far? ever done in my entire life. October 1 is not even as difficult as Figurine. SUI: And why is that? our direction must be accurate. something that seemed bigger than we bargained for. cinema and the international market at large. Yoruba and Phone swap was also welcomed by Nigerian audiences. After the release of october 1 movie Kunle Afolayan became the producer of the second highest grossing Nigerian of all time, the movie gained a lot of awards and positive reviews. As of 2015 Kunle annouced another film in the making a movie titled “The CEO” many Nigerians already fell in love with the movie before its release following the social media talks. Has won too many awards beyond mentioning. Signed a multimilion naira endorsement deal with France’s National carrier, Air France in 2015.